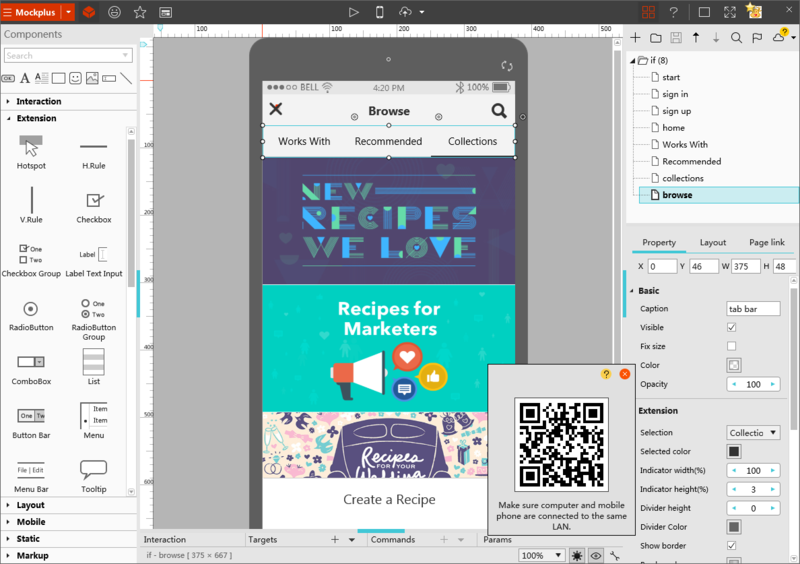 Thanks to the extensive efforts of a wide range of wireframe design tools, we can now have an easy access to interesting and compelling mobile applications on smartphones and tablets. 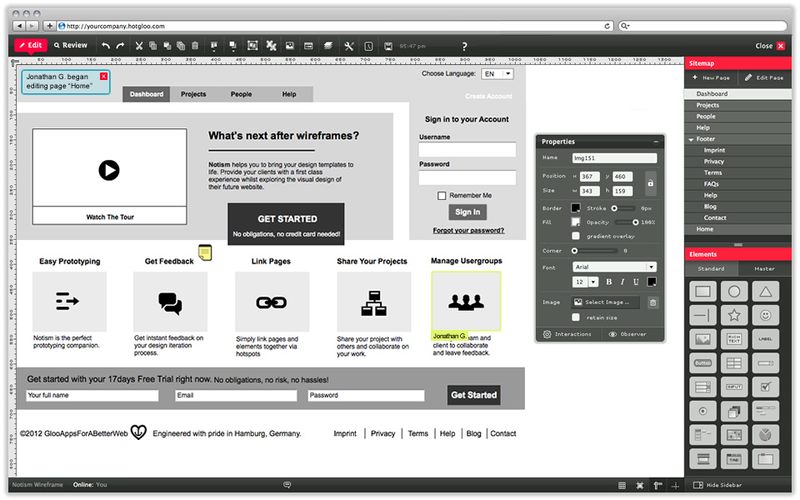 In this post, I will introduce 5excellent wireframe design tools for free to you. These tools are all easy-to-use and enable you to extend your original ideas in an impressive way, which, helps you collect valuable feedbacks in the early stages of application development. 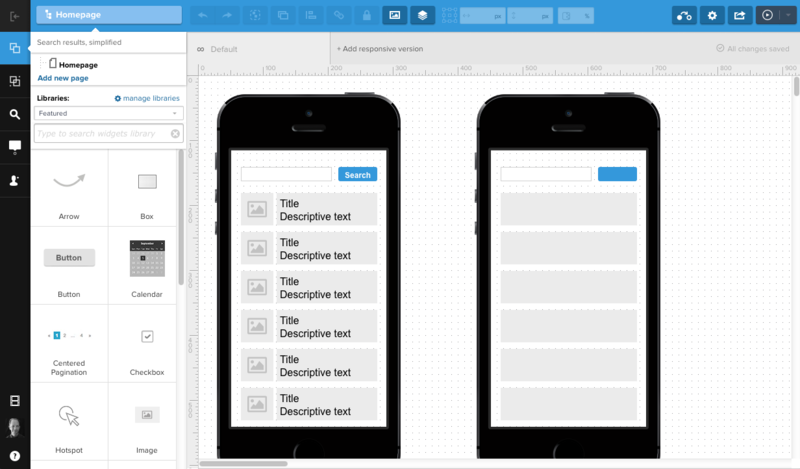 Serving as a stunning wireframe design tools for free, HotGloo provides you with almost all types of mobile application. If you set about making your own creation of a mobile wireframe, HotGloo has to be the wireframe tool you can’t afford to miss. HotGloo performs very well in visualizing planning processes and testing drive interactions. Updating to the paid subscription will cost you $14 per month. If you are looking for a wireframe design tool for free and it is both fully functional and fast, then Mockplus is for you. Mockplus comes with a simplest drag-and-drop interface that allows you to design interaction between every single component. News points out that the release of the team version, which is looked forward by more than 600 thousands users, is already on the schedule. One more thing, Mockplus literally supports all operating system. Justinmind is a free wireframe tool handy for creating dynamic wireframes. 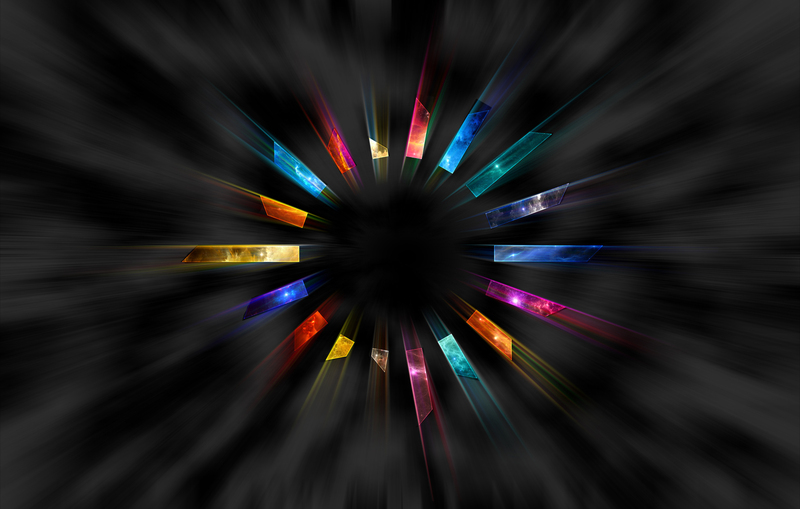 The unique widget library of justinmind allows you to insert most kinds of interactive content into your application. By the way, instant feedback and website design are also available, which means it can be applied by a wider range of designers and the result is easy-to-share. There is no denying that every wireframe design tools on this list really worth what they cost, not to mention Axure. Capturing the biggest cake of the wireframe design tool market share, Axure does standout. It doesn’t need any coding skills, Axure provides you with all the documentation tools. I have to say that wireframe design tools like Axure and Mockplus are fairly persuasive for designers to update to the Pro version. UXpin only has a free trial for 30 days but it is really too cool to ignore. It is featured in high-fidelity and includes a huge ui element library which individual looks delicate and functional in real application. At the same time, UXpin is also a very collaborative wireframe design tool. It allows designer to co-design in real time with automatic comment notifications. New wireframe design tools for free appear almost every day on the market, but most tools usually only focus on a small part of the design and development process. As an excellent option, we need wireframe design tools for free both fast and powerful, but the reality is that a wireframe tool standing out for one feature is already starting to seek profit model. Nonetheless, I believe that wireframe applications is becoming more powerful with great user interface allowing us to challenge our imagination in no time.